If you have enough wall space in your home to project a huge 176-inch image on, then this is the deal that you need to be considering. 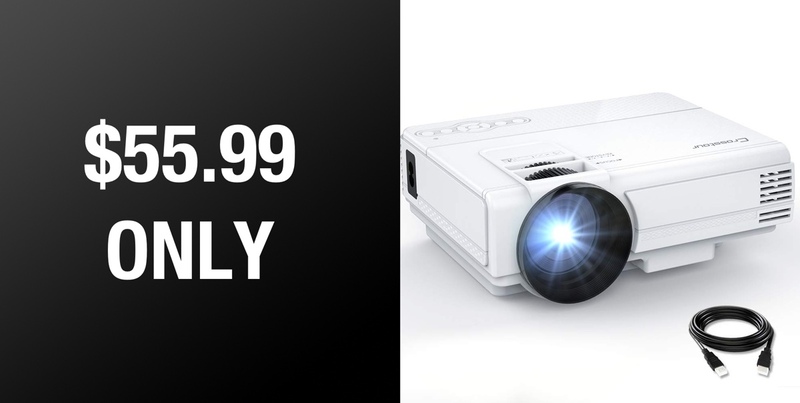 This gorgeous Crosstour home projector is available to own right now for just $55.99, complete with a diverse array of ports to give you your pick of inputs. You may be used to going into professional venues and seeing their media efforts handled by a wall or ceiling-mounted projector. Most people typically tend to think that those projectors are only used for commercial buildings and that regular home-owners need to stick to the usual television set. 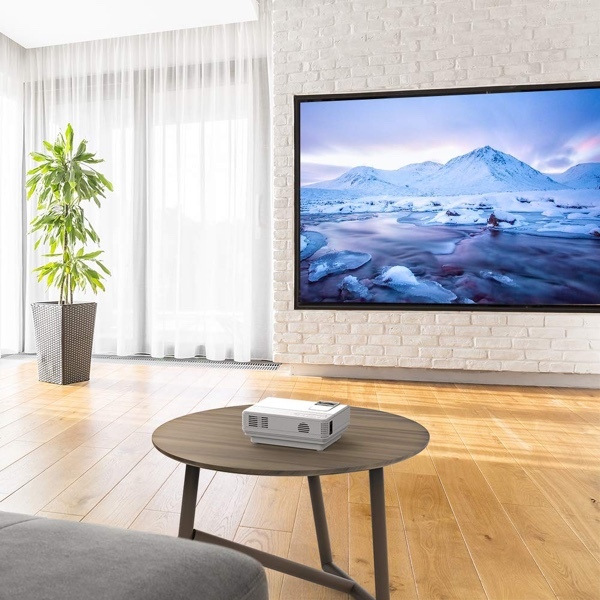 It’s recently been suggested that projectors are actually now in a position whereby the can offer an equal, if not better, experience than a standard television set, which means that it’s the perfect time to consider hardware like this. This Crosstour option is definitely at the lower end of the scale in terms of what money will buy you in the world of projectors but that doesn’t mean that it comes with low-end features. Quite the opposite, in fact. This is basically a theater set up in your own home complete with 1920-by-1080 supported resolution for full HD viewing. It also projects the input media onto a screen ranging from 32-inches all the way up to a whopping 176-inches, which means that you can create a full high-definition theatre experience in your home. If you have the space, of course. Getting content to project through this projector isn’t going to be an issue, either. It is equipped with multiple ports for your needs, including HDMI, USB, TF card, VGA and AV interface, and can even take onboard a Fire TV Stick so that media can be played directly. There is no reason why this couldn’t be set up as a TV replacement with a Fire TV Stick inserted ready to stream content from Netflix or YouTube.This particular model also comes with innovative cooling and noise reduction technology to ensure that it offers the best possible viewing experience without interruptions. An absolute steal at this price when you consider all of the above. No. This projector does not support 1080 output. False advertisment from redmondpie! The output resolution is 800 x 480 ! Stop advertising these crappy projectors and fooling your loyal readers redmondpie!! !